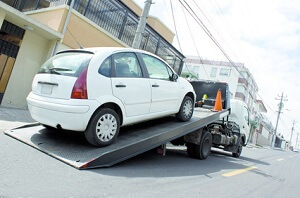 Fairfax Tow Truck offers roadside assistance all over Northern Virginia including and between Fairfax, Vienna, Oakton, Clifton, Chantilly, Centreville, and Manassas. We drive up and down the interstates daily and can find a signaling car like a hawk. That is why our roadside assistance is so good. Working twenty-four hours a day, seven days a week, and three hundred and sixty-five days per year, we make sure that when you’re roadside, you have all the assistance you need. Dead battery jump: We have all the necessary cables to make sure that your battery jumps back to life, whether it was cold or just the plain age of it. Out of gas: We have a few jerry cans of gasoline and diesel on every tow truck so that we aren’t too far away with the gas. That way, you have enough to make it to the next station without having to worry about it happening again. Flat tire: Our team is experts on fixing flat tires, and changing them immediately. With a toolbox full of WD 40 and ratchets, we are able to pop off even the most stubborn nuts, to make sure that you’re on an inflated tire and back on your way as soon as possible. Towing: We hook you up and fly you off no matter what the size of your car, dropping you at a garage if we can’t fix the problem ourselves. We make it a priority to make sure it’s a garage you’re happy with at the time of drop off because customer service is number one. Emergency locksmith: The last thing you want is for it to be the dead of winter, have the key snap off in the lock and have no way to get to work. Our team of professionals helps you out immediately to make sure you make that meeting. Key ignition services: If the car won’t start but the key is igniting, it sounds just up our alley. We are happy to help by looking at the car, seeing what might be wrong and fixing it on the spot. Because finding a solution is what we do, immediately on the spot. We are fixers. 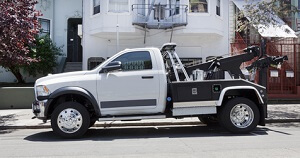 As Fairfax Tow Truck gets its name, we are more than just a tow truck. We are a fleet of highly trained professionals happy to help you out as best we can. 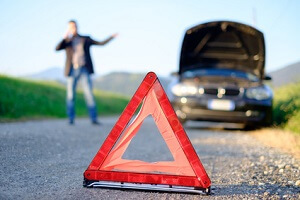 Our roadside assistance rivals no other, and we get the job done immediately. 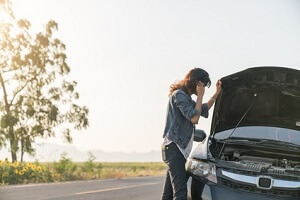 If for some reason we can’t we take you to a comfortable place and make sure that you’re happy.Whether it’s ignition services, a flat tire, towing, locksmithing, no gas or even a dead battery, we fix it on the spot, so you don’t have to spend your time, money and sanity trying to fix it. Our highly skilled team works hard so that you don’t have to. Just give us a call on the side of the road, and we will be there as soon as possible. Fairfax Tow Truck is the best, just give us a shot and let us show you how.